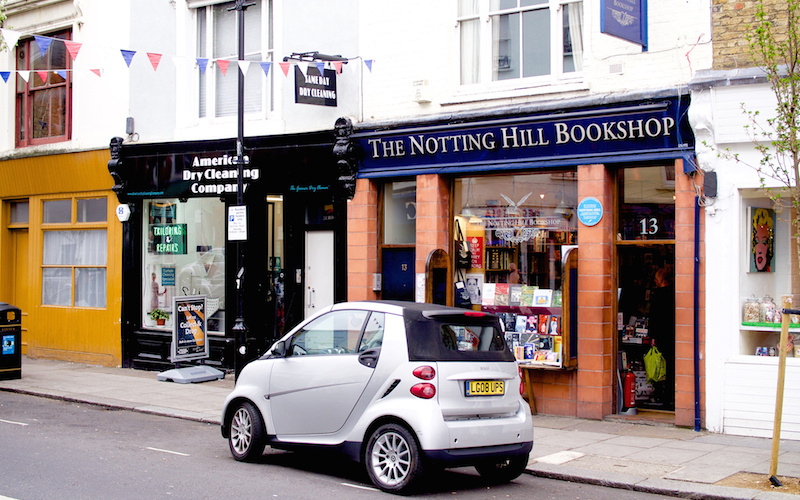 One of London’s most famous neighbourhoods, largely due to a certain 90s film starring Hugh Grant and Julia Roberts, Notting Hill is undoubtedly worthy of the hype. Though it’s not quite the place to be it once was, it’s still the crown of west London with countless restaurants, pubs, shops and some beautiful houses to fantasize about living in (but never will). There’s some seriously high end restaurants including The Ledbury and Core by Clare Smyth, both with two Michelin stars, plus Caractere a new restaurant from Emily Roux. 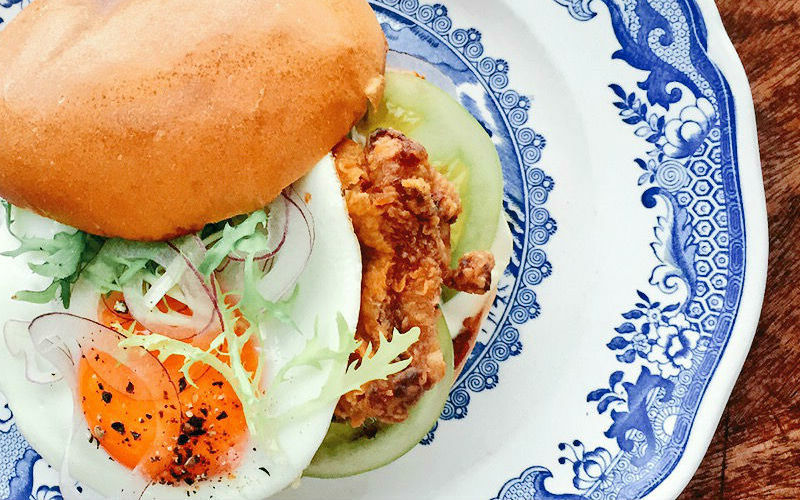 It’s not all fine dining, however, with Boom Burger, Egg Break, Rum Kitchen, and Cocotte being some of our favourite casual joints. Saturday is the famous Portobello Road antiques market, although there’s also quite a few stalls out on Fridays too including a good range of street food alongside the bric a brac. 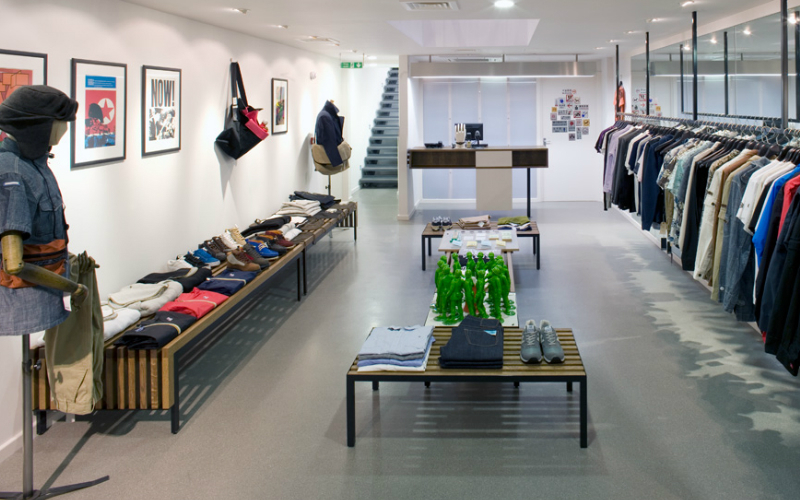 On any day of the week there’s a great range of stores including Rough Trade records, The Notting Hill Bookshop (yes from that film), Wolf & Badger, and the world’s poshest charity shop, The Oxfam Boutique which specialises in designer clothes. Not forgetting of course what Notting HIll is really most famous for, the incredible Carnival which descends upon the area each August and is one of the highlights of London life. If you’re in need of some new furniture, swing by the Loaf Shack. 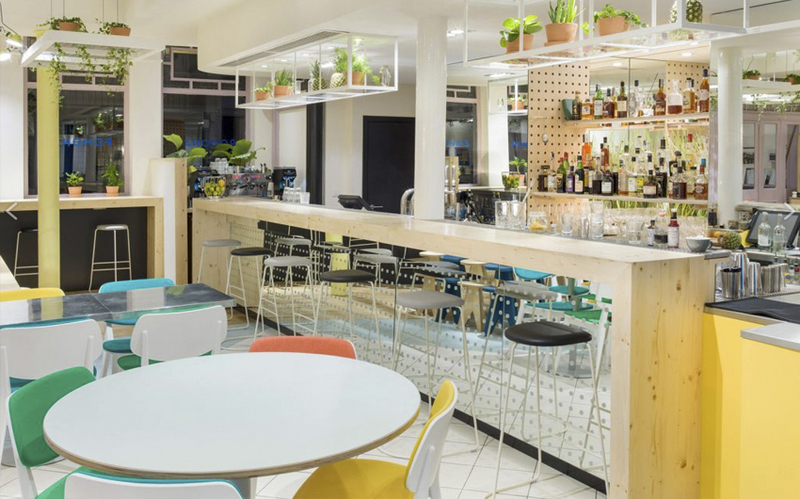 Located just off Ladbroke grove in a beaut 1930s art deco building, the shack is a great place to escape the hustle and bustle of Notting Hill. As well of plenty of pieces to browse and buy, there’s a cinema in the basement and a super-soft Mattress Testing Area for you to bounce around in. 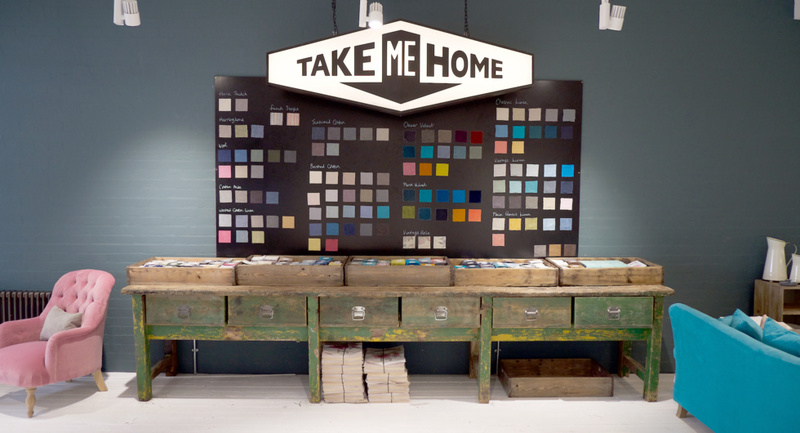 If you don’t mind splashing a little colour (and a little money) on the walls of your home, head to the Farrow & Ball showroom. 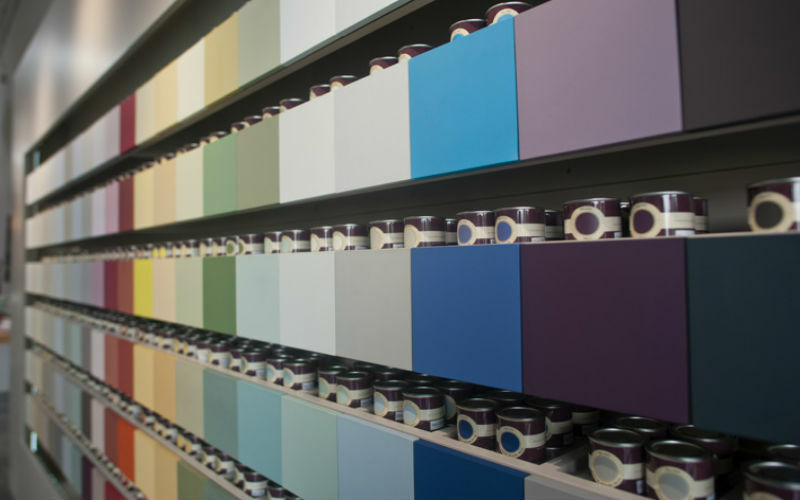 The showroom proudly boasts the entire paint and wallpaper collection, so you’ll be spoilt for choice. Don’t get carried away now! Wolf & Badger is now a popular name, famous for its website that brings together the best independent designers from around the world. Their boutique in Notting Hill has the same mix but in physical form so you can check out the clothes and accessories before you buy, and we do like that. Even at the best of times, charity shop shopping can be grim. 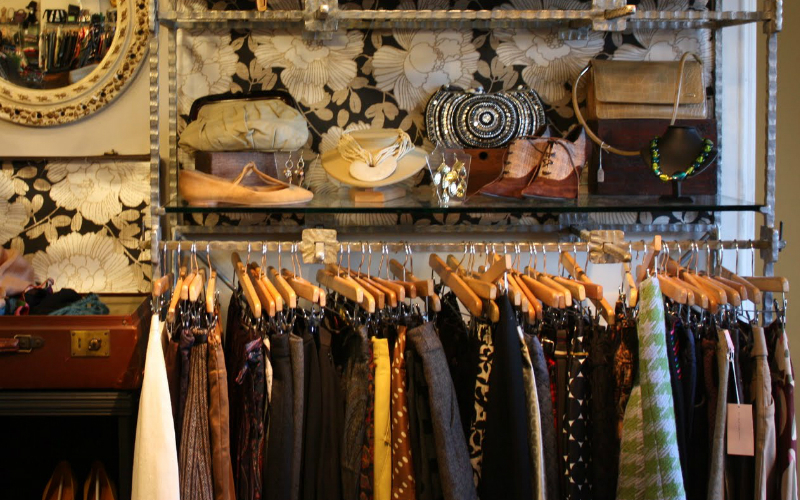 So for a charity shop experience that doesn’t feel like rifling through dead people’s clothes, whilst still giving back to charity, head to the Oxfam Boutique in Westbourne Grove. 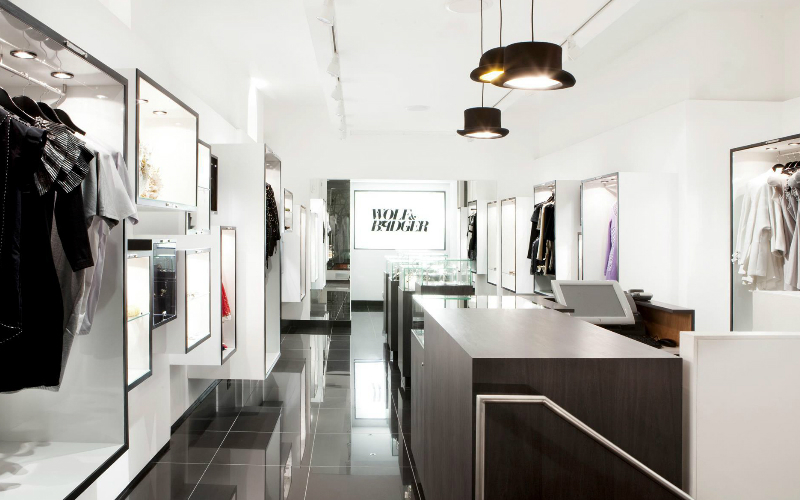 It specialises in both men and women’s designer clothes, as well as accessories and some homeware. 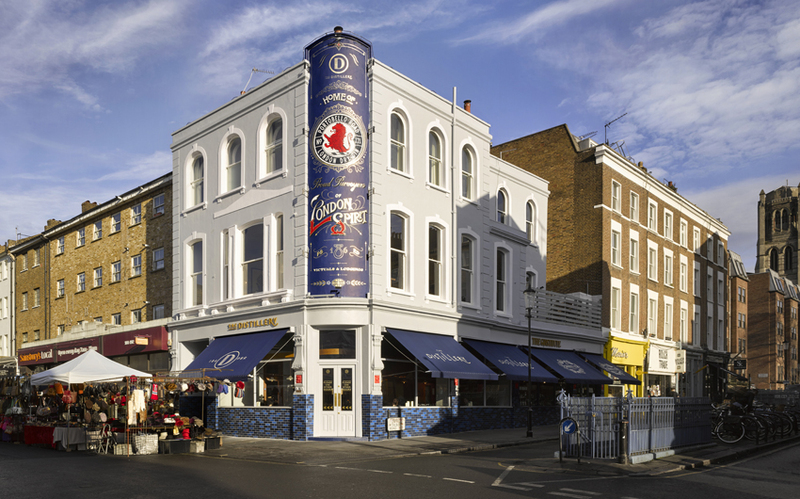 The site on which the Portobello Star now sits has been serving up drinks and good times to Londoners since 1740. Nowadays it’s taken the form of a stripped back, contemporary bar that serves a damn good cocktail. If you’re feeling peckish, or need to line your stomach, they also serve snacks, sandwiches and bar food. 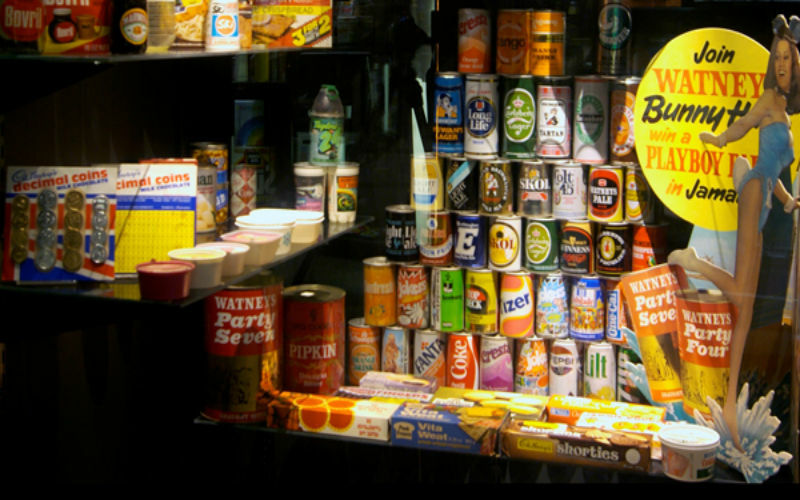 A guided tour of the history of branding, there are around 12,000 different items in the Aladdin’s cave that is the Museum of Brands. Amongst other things, you can check out Rimmel cosmetics from the 1890s, First World War Oxo cubes and a 1970s chopper bike. 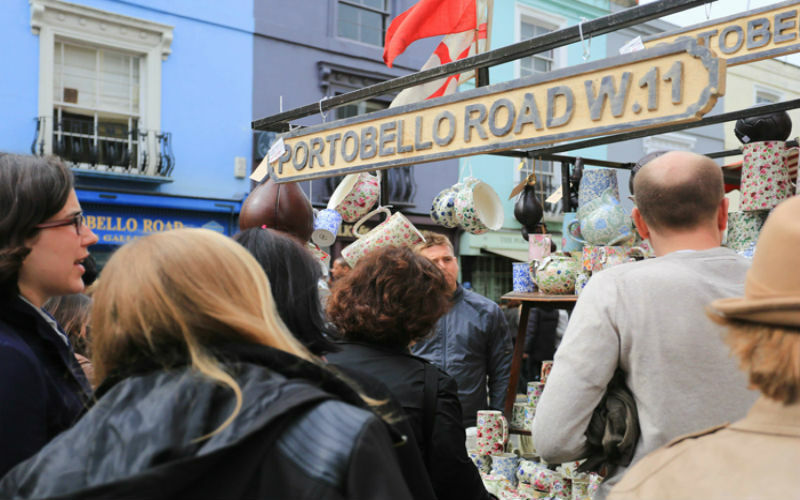 Over 300 years old, Portobello Road Market is the world’s largest antiques market. However, it’s not just antiques that you can buy – you can pick up fashion, both old and new, fruit and veg, collectibles, bric-a-brac and much more, and although Saturday is the main day there are stalls open during the rest of the week too. 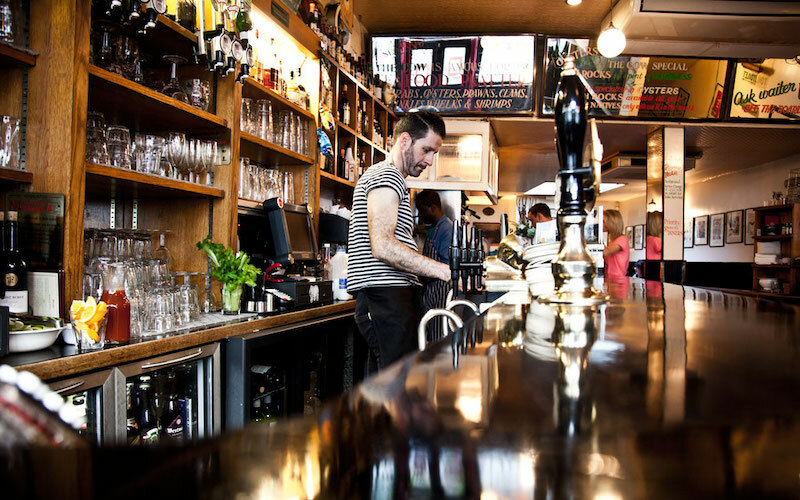 For over 150 years, The Mall Tavern has been a mainstay of The Notting Hill community. 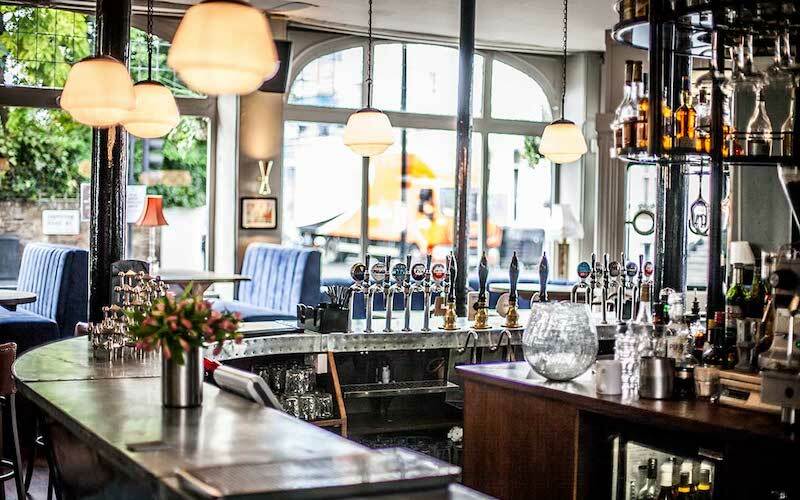 It has changed hands numerous times and been through many incarnations, and the current Mall Tavern is a gastropub that takes great pride in its menu with old favourites sitting comfortably alongside more innovative dishes. The pub is divided in half with a very busy bar area in one part with the other being reserved for diners. The atmosphere is fun – the after-work crowd enjoying a drink gives the place a buzz that carries into the relaxed dining area. 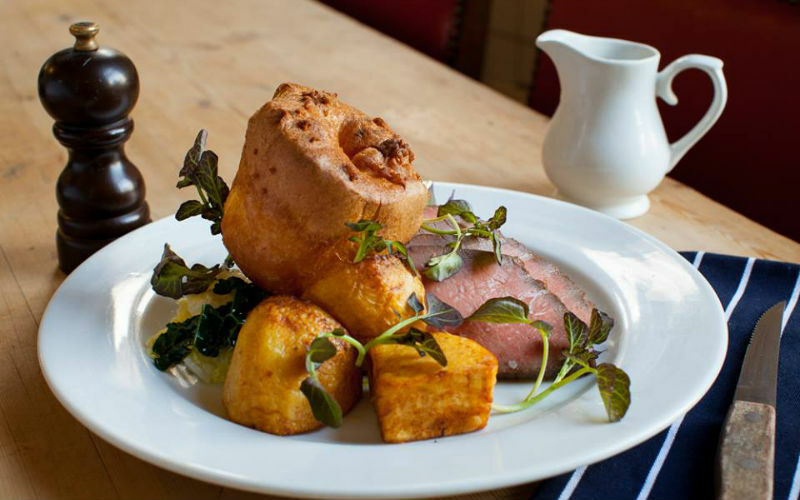 You can choose from pub classics, like fish & chips, beef & ale pie and ribs, and more restaurant dishes like pan fried sea bream with orzo, and they serve up a bangin’ Sunday Roast too. 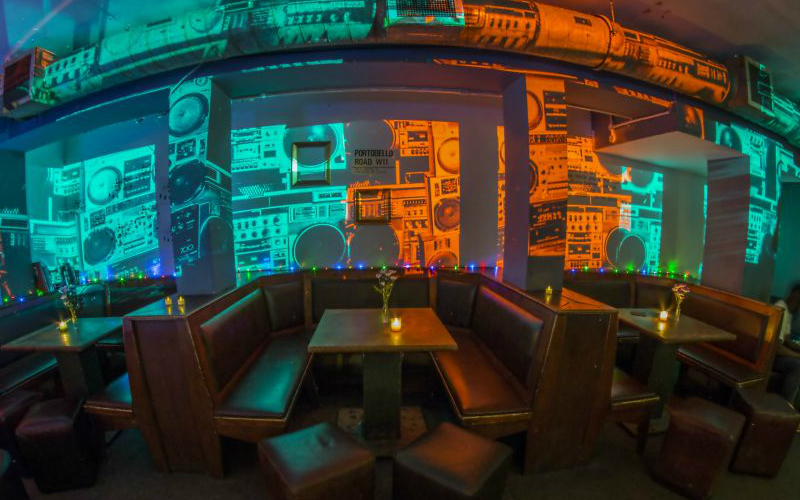 The Notting Hill Arts Club is a basement events space that holds everything from art exhibitions to club nights to movie screenings. They also have a bar, serving a wicked selection of cocktails and shooters, as well as ciders, craft beers and wine. Anything and everything a chap can unload is sold off the barrow on Portobello Road. But you’ll definitely find what you WANT on Portobello Road at The Penny Market. 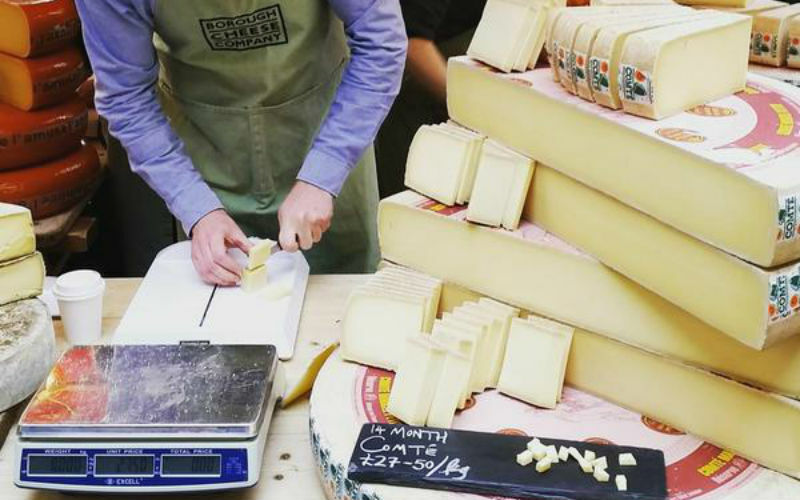 With a line-up of producers including Borough Cheeses, Blackhand charcuterie, Oak and Smoke fish and Lulin tea, those barrows filled will be filled high with fresh and organic produce, as well as natural products from some of the best soap and candle makers around, so you’ll be sure to find something worth spending all those pennies on at The Penny Market. Even better, they give 50% of the profits to charity. 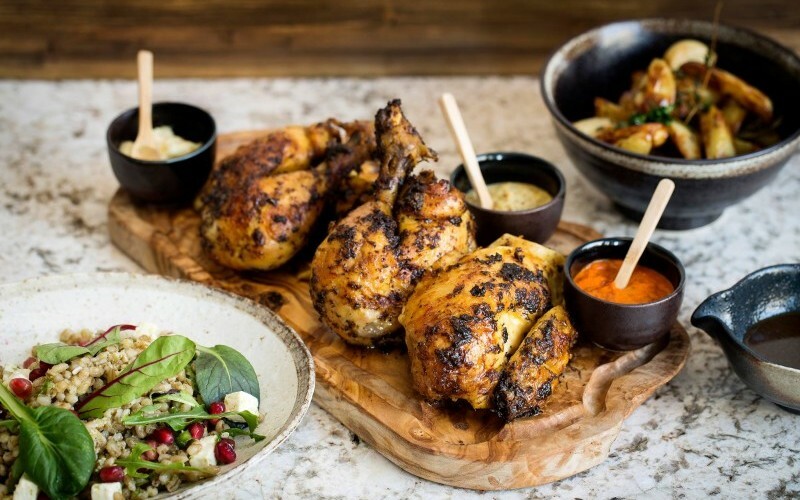 Not that London is short of cluckin’ chicken joint, Cocotte is one that’s doing it right. The healthy rotisserie serves up free-range birds from La Chapelle d’Andaine farm in France and it defo beats Nandos. With a simple menu, the marinated roast chicken takes centre stage and comes either whole, half or quartered. Succulent and flavoursome, it’s exactly what it says on the tin. But the real dilemma is choosing sides from the HUGE list of healthy salads including our fave, the Fernande salad with barley, pomegranate, feta, baby salad and spring onions to the less healthy truffle mac ‘n’ cheese and THOSE baby roast potatoes with chicken gravy. HUBBA HUBBA. We’re all jumping on the band wagon of clean eating, but where should you go to get your prescription of healthy, tasty food? Farmacy of course. It’s a plant-based menu, with vegan and vegetarian dishes, free from dairy, refined sugars, additives and chemicals. And no, they aren’t serving meals made of air. 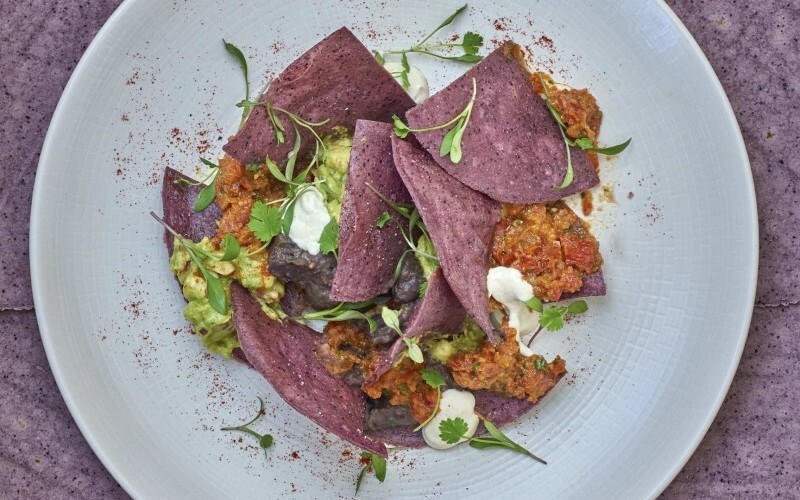 With a focus on ‘clean indulgence’ (something we’ve never before partaken in), the menu is not just made up of salads and protein boosters, there’s also a selection of healthy comfort foods and cocktails, like vegan and gluten-free nachos with guac, refried beans, salsa and chipotle mayo made from cashew nuts and a millet, black bean and mushroom Farmacy Burger. For a healthy, guilt free dinner, Farmacy is just what the doctor ordered. If your looking for some unique homeware, Native & Co is your shop. 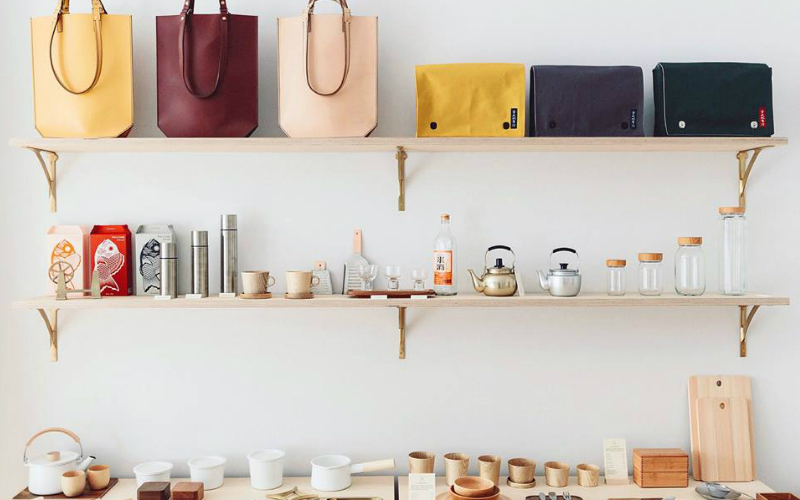 Specialising in crafted homeware from Japan and Taiwan, they stock a range of tableware, ceramics, kitchenware and other small home accessories, and you can expect lots of clean lines and soft colours. ensaladas, crudos, ceviche, moles and maza – but we rate the tostada de atun; yellowfin tuna, salsa macha and guacamole puree and the super soft mole de olla; short rib slow cooked in traditional dried chile broth. Then there’s the churros con chocolate because churros are ALWAYS a good idea and so is Peyotitio’s take on the margarita; spicy Tajin salt rim, Blanco tequila, Cointreau, agave syrup, lime juice and a sneaky shot of mezcal. Guess who’s back, back again. Oh yes the original Rum Kitchen returned after a revamp with a new downstairs, private members bar where you can shake off all that food with dancing until two in the morning. Menu-wise it’s the same Caribbean grub with other dishes like a tropical sea bream ceviche and a roti pizza topped with jerk chicken and sweet potato. And if that doesn’t float your boat, they’ve got Jamaican brunch menu that will have you rum’ming out of bed at the weekends. 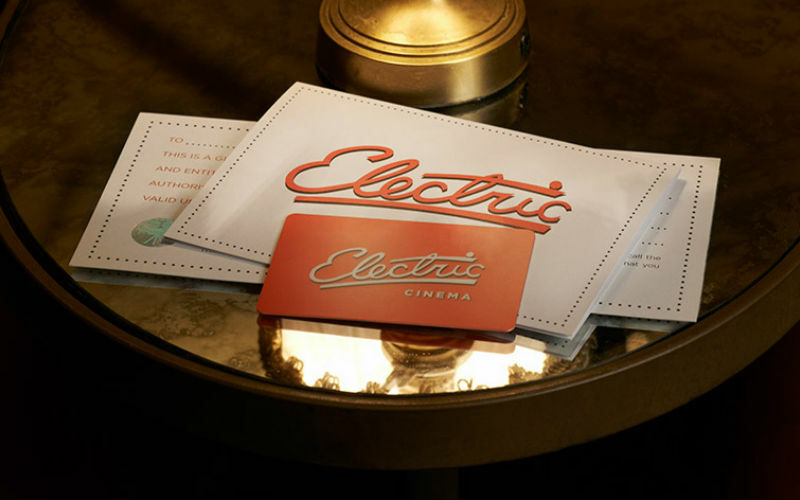 One of the oldest working cinemas in the country, the Electric Cinema’s interior reflects its long history. Plus it’s one of the most comfortable places to watch a film, with double beds, sofas and armchairs for your viewing pleasure! Granger & Co Notting Hill is the original restaurant in the family opened by Aussie Bill Granger in 2011. 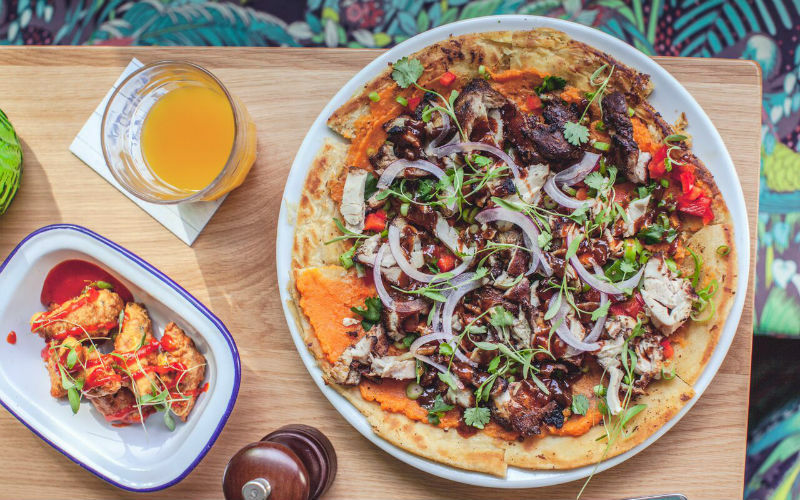 There are now two other branches in Clerkenwell and King’s Cross, and they all serve similarly eclectic menus that draw influence from across the globe. 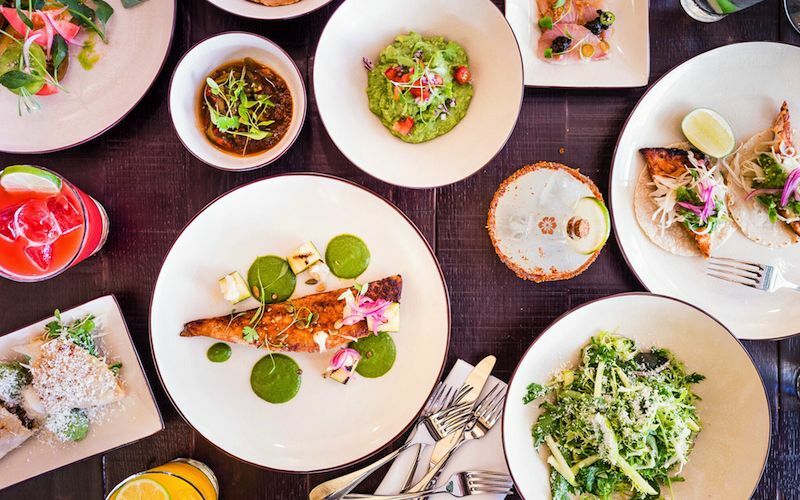 The menu is split into several sections – small plates, bowls and grains, big plates, and BBQ – and it’s one of those where you want to order absolutely everything. We find the most winners on the small plates but it’s worth a trip down for brekkie too…those eggs are good. 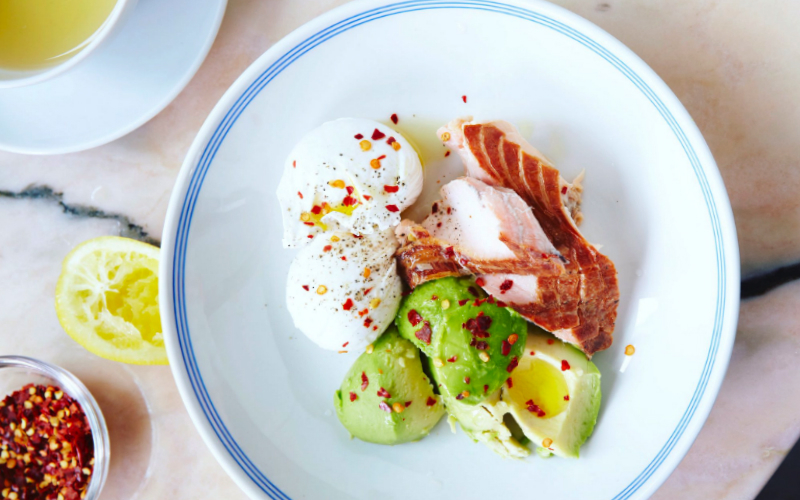 Eggbreak, a collab btween Ennismore, the peeps behind The Hoxton and Soho House, is a laid back little joint located just around the corner from Notting Hill tube station on a quiet residential street. Inside it’s pretty simple and light, but it’s the menu that makes it worthy of a trip. Themed around eggs (yep the clue really is in the name) there’s a good selection that ranges from pure filthy to healthy and light – hey this is Notting Hill people, they don’t all want deep fried and dirty! The McMuffin is the one though especially if you’ve got a hangover you need to shake. 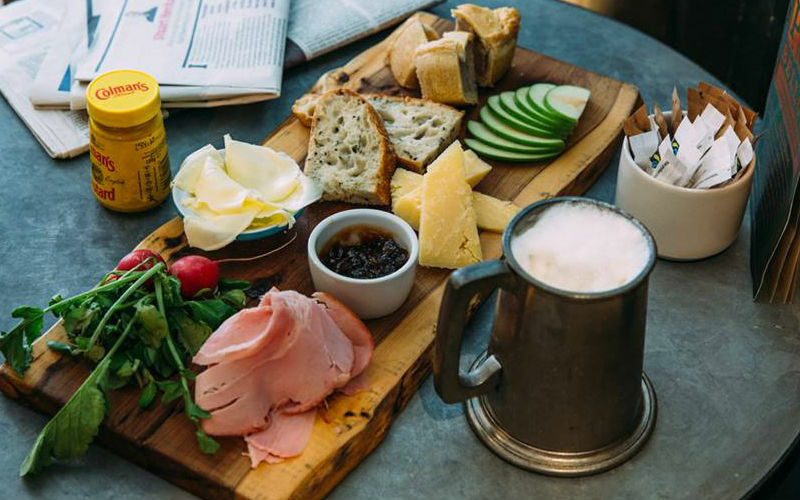 Get down for some eggs-tremely tasty dishes…and you thought we’d gone pun free. Any film buffs amongst you may have already guessed the significance of this innocuous-looking bookshop. Yep, you guessed it. It’s THAT travel bookshop from the film Notting Hill. Having expanded its range since the iconic British film came out, it now sells books on a variety of different topics. It also has a blue plaque on the outside to commemorate the film that made it famous. It’s worth the trip for that alone! The Distillery is London’s very own ‘gin hotel’ with four floors designed for you to drink, eat, and sleep it off! 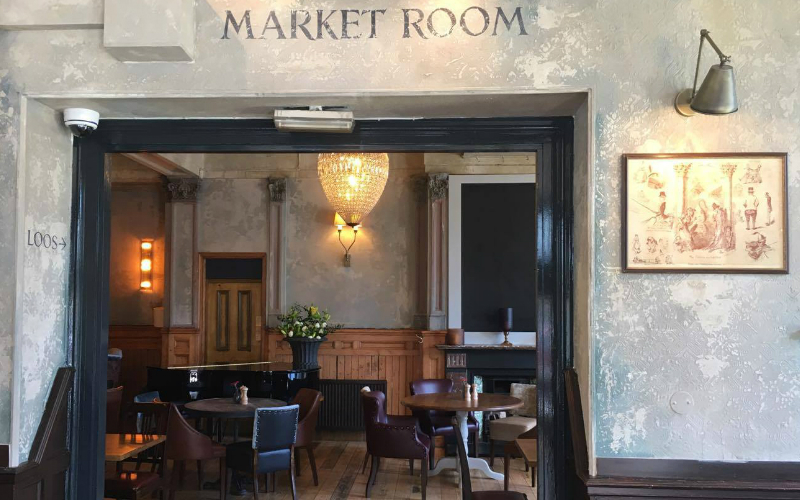 The ground floor is home to a pub called the Resting Room, where you can sample spirits from the barrels suspended from the ceiling; the first floor has Spanish bar & restaurant, GinTonica; and then there’s The Ginstitute; a place where you can learn about the history of the tipple and blend your very own. For the sleep-it-off part, the bright boutique bedrooms are decked out with your very own cocktail bar, with shakers, garnish, ice, glasses and of course GIN! This colourful California inspired gem brings a dose of the Golden State to Notting Hill. Entering through a jungle of potted plants to their vibrant interior decked out with multicolored furniture, you’re bound to feel those sunshine vibes. The weekend brunch is very West Coast, with lots of pressed and blended juices, coconut yoghurt, chia seeds, granola, acai bowls, buckwheat pancakes and spinach, but you can go for something not so healthy with buttermilk waffles, bacon and whiskey maple syrup. Get a taste of island life at this Jamaican-inspired burger joint. 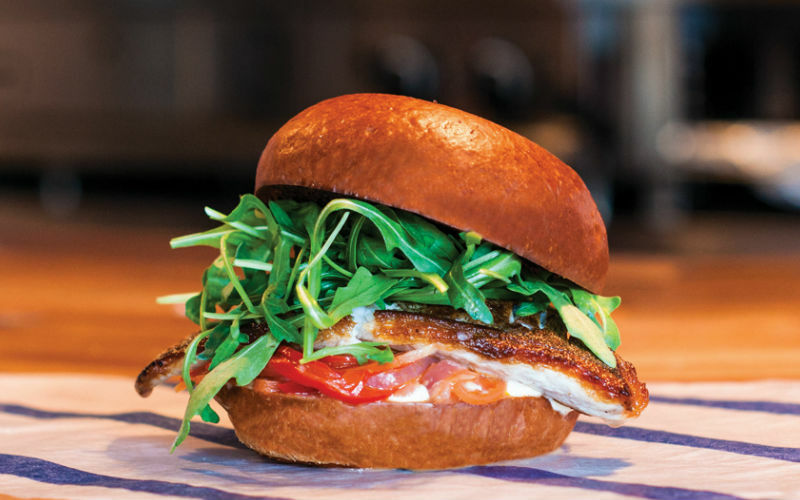 Since opening in 2014, the menu has significantly expanded with several burger choices – including fish and veggie burgers – as well as salads, wings and sides. We recommend the the ‘Jerk Boom’, it’s a mouthwatering combo of jerk chicken, fried plantain and mango and paw-paw sauce. Whatever you choose, prepare to get messy. Expect to feel luxuriously pampered at Taylor Taylor. 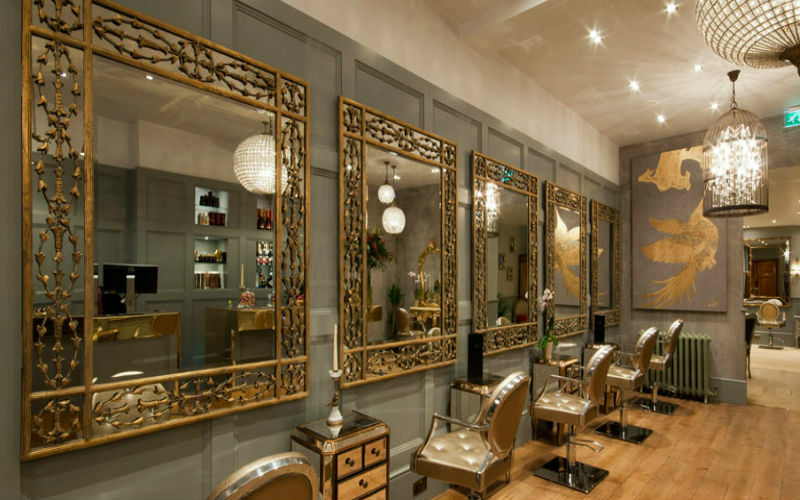 The salon is dripping in gold with bronzed vintage mirrors, oversized chandeliers and hand-painted golden peacocks…there’s even a brass topped cocktail bar. They offer a range of hair services, from cut and colour to straightening and blowouts, and all services are priced based on how experienced of a stylist you prefer so you don’t have to spend loads on a new ‘do’. 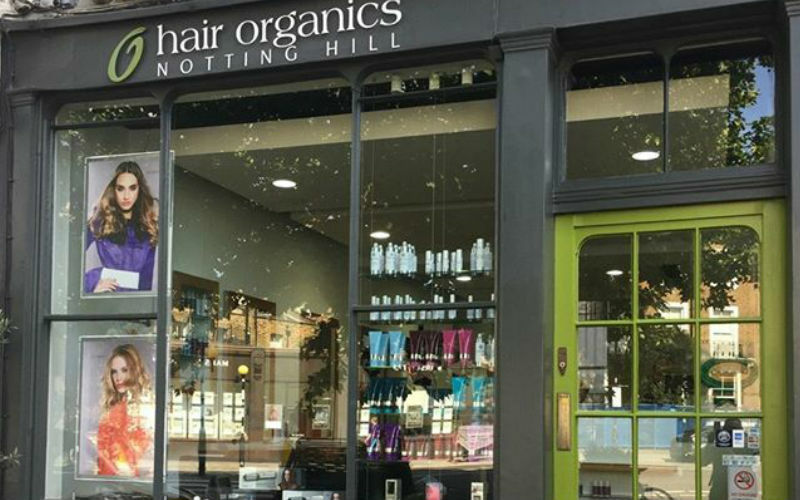 Hair Organics is a salon offering organic treatments including colour, semi-permanent watercolour and smoothing treatments with the use of all-natural products. 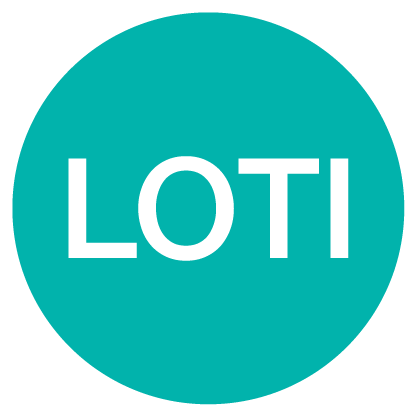 Their colours contain absolutely no dye or colour pigments and are 100% free from harmful chemicals and everything in the salon, right down to the tea and towels, is environmentally friendly. Made-to-order ice cream? HELL YES. Four Winters whips up sweet treats right in front of you thanks to liquid nitrogen. 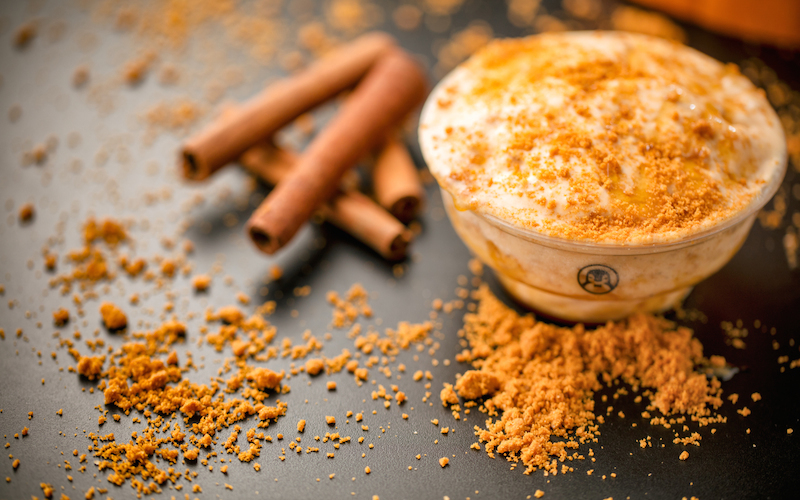 As well as super smooth classic ice creams like coconut, strawberry and chocolate, and fusion flavours like cereal crunch, knafeh and birthday cake, Four Winters also does changing seasonal scoops. And you can pimp everything with extra toppings and sauces, which you’ll defo want to do. 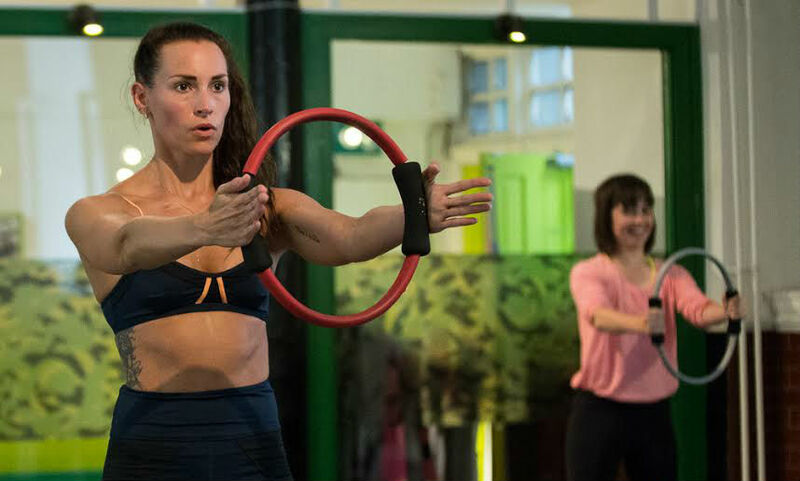 What do you get when you cross pilates with HIIT? Bootcamp Pilates that’s what. They offer a 55-minute intense class combining exercises both on and off the reformer machine in a regimented sequence of moves, designed to target every inch of your body. And we mean, every inch. We’re talking sets of push-ups, lunges, squats and burpees on the mats and then core and glute stretches on the reformer. If you’re looking for a way to switch up the traditional workout this is it.